This hand painted cottage corner table is finished, I have been showing the different stages of hand painting this table in previous blog posts. 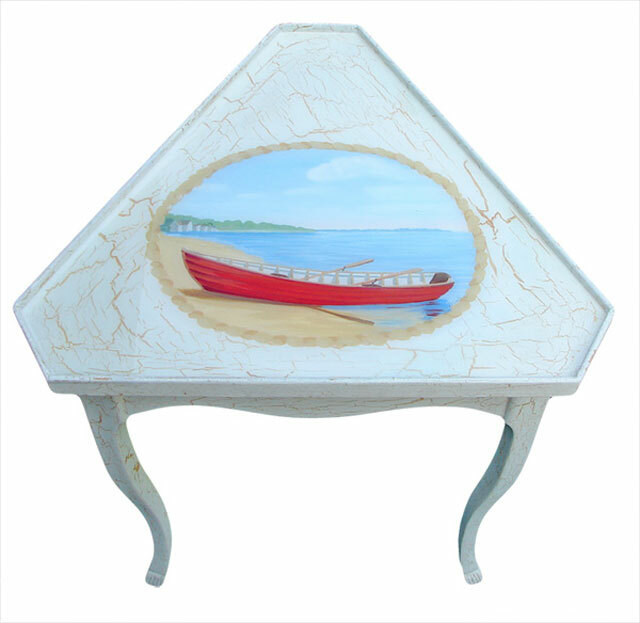 A red skiff on a beach is the original acrylic painting on the cottage table top. The last step after completing the acrylic painting was to apply a thick glossy durable finish to the entire top. This protects the painting and prevents any stains or wear on the tabletop. PreviousNew Gallery Artisans Harbor, Old Saybrook, CT offering paintings and decorative furniture.